Testimonial – This shortcode was used to display our Testimonial’s into various style. 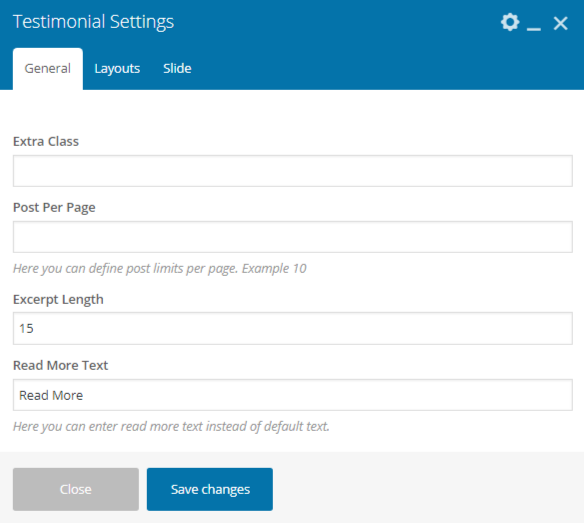 Extra Class – Here you can add an extra class to your Testimonial shortcode. Post Per page – Here you can set the view count of the Testimonial. 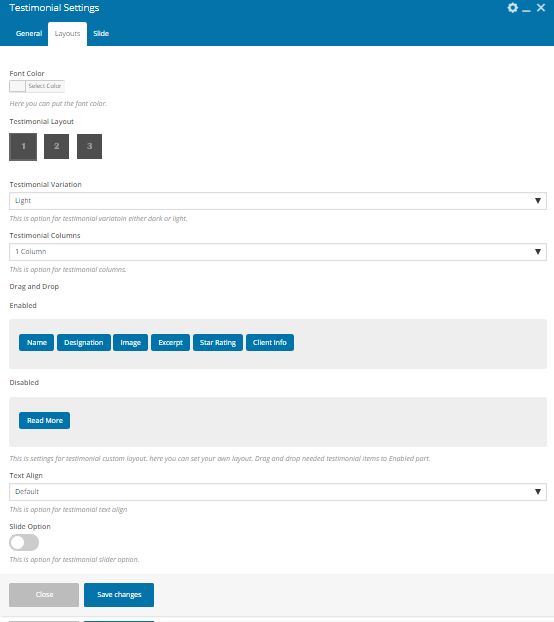 Testimonial Layout – Here you can set the layout Normal grid, Fit rows, Or Masonry. Testimonial Variation – Here you can set light or dark layout. Testimonial Columns – You can change column count 1,2,3,4. Text align – This is an option for testimonial text-align. Slide Option – This is an option for testimonial slider option.